Not to bring "another substance" into the Temple; Urine revisionism revisited. 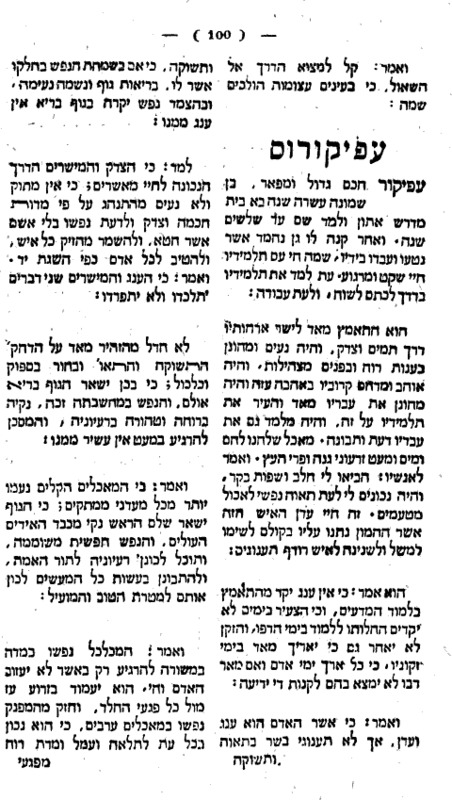 In 2007 I posted about how it is interesting that the Birnbaum siddur (1949) timidly refused to translate מי רגלים as urine, preferring to transliterate it: Thus, "Though mei raglayim might have been good for that purpose, it was not decent to bring it into the Temple." Or to mention in an American siddur, I might add. 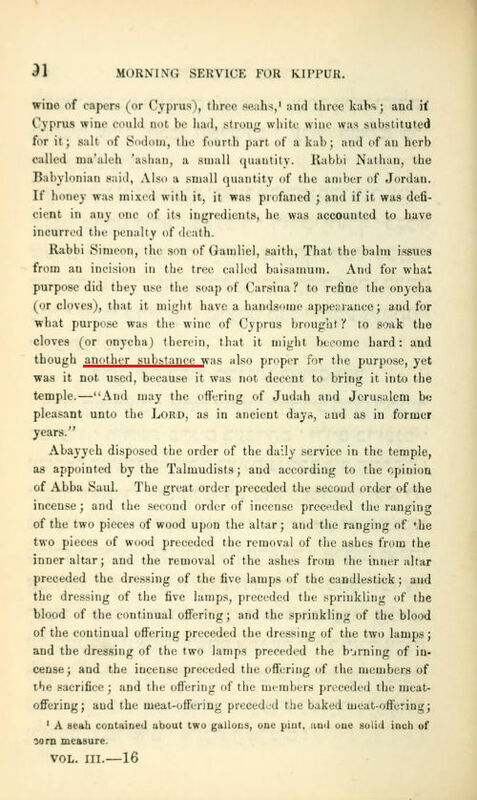 I noted that an English machzor from 1796 actually also transliterated it as "mea raglayem" in the translation - but it included a footnote explaining that this means Urine. My guess was that at the time some people read the prayers from the English, and while the translator (David Levi) had no problem letting people know what the word meant, he figured it was nicer for them to read "though mea raglayem was proper for the purpose . . ." rather than "though Urine was proper for the purpose . . . ."
In either case, we see that in 1949 Philip Birnbaum felt that urine should not be mentioned in the synagogue. 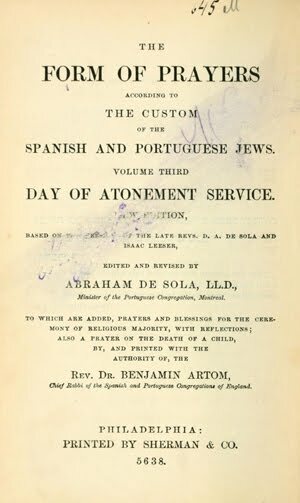 I came across David de Sola's translation - although this particular book is from 1878, I believe his translation goes back to the late 1830s. As you can see, de Sola primly writes that "another substance" could have been used, but was not decent to bring into the Temple. I was curious how a contemporary of the Birnbaum siddur, a siddur published by the Rabbinical Assembly in 1946, translated it. They took the easy way out - there is no פטום הקטורת, not after mussaph and not before shacharis (although I might add that it kept both sיקום פורקן!). 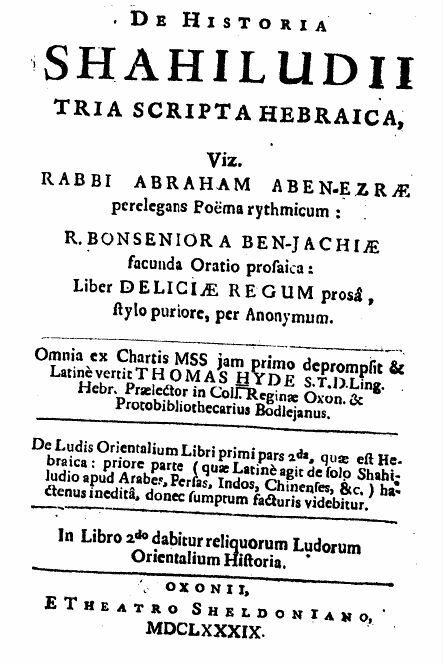 In 1839 Jeremias Heinemann published a very interesting book called the Hebräisch-Deutsches kursorisches und alphabetisches Wörterbuch zum allgemeinen Siddur. I have never seen anything quite like it. What Heinemann did was to go through the tefillos, prayer by prayer, and list all the principle Hebrew words with German translation. I suppose I have to think about it some more, but on the face of it it seems like one of the most effective methods of learning what the prayers mean that I have ever seen. It's a fascinating work - it begins with Mah Tovu, and just plows through it all, including the 15 Shir Hama'alos and the complete Pirke Avot after Shabbos Mincha (and, yes, it includes Yekum Purkan). Nahme für Urin. I guess the Germans were less timid than the Anglos. Heinemann is an interesting person. He was a modern educator in Berlin, originally associating with the Reformers in the 1810s, but he became more traditionalist. Apparently recognizing his valid role as a positive, modern influence, Rabbi Akiva Eger gave a haskama and subscribed to one volume of his edition of Mendelssohn's Chumash (with the addition of his own commentary). 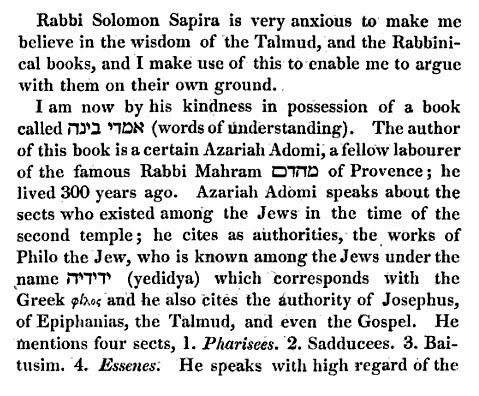 Another example of Rabbi Akiva Eger encouraging a similarly modern-leaning type of rabbi is Salomon Plessner, who was a noted preacher and translator of the Apocrypha into Hebrew. With Rabbi Akiva Eger's approval, Plessner published עדות לישראל, a book full of quotes by Gentiles about how wonderful the Talmud is. See here. Namely, "some say that mei raglayim come from a certain spring called Raglayim; it is not possible to say mei raglayim literally (i.e., urine) since God forbid that it should enter anyone's mind to include urine in the making of the incense." According to this interpretation, then, what was proposed was that water from a spring called Raglayim might have sufficed for the incense. Since "water from Raglayim" is the same word/ name as mei raglayim, i.e., urine, then it would be wrong to use an ingredient with the same name as urine. But urine itself? Come on, don't be ridiculous. This interpretation seems to have been accepted as the best by Seligmann Baer, for he quotes it on page 248 of his siddur Avodas Jissroel, and even supports it by noting that the book of Joshua mentions an עֵין רֹגֵל numerous times. The Machzor Vitri gives the spring explanation as well as another one: יש אומ' עשב הוא ששמו מי רגלים ויש אומ' מעיין הוא ששמו מי רגלים ועזין הן וריחן רע - some say it's an herb named mei raglayim, and others say its a spring called mei raglayim, [with water that is] pungent and smells bad. If I remember correctly, in David Golinkin's edition of the responsa of Louis Ginzberg, there is one letter from someone asking Ginzberg about this, and Ginzberg replies with some sources and also tells the correspondent that he is surprised and pleased that anyone in his time (1930s?) even cares about this. Not to touch Mendelssohn's books? Inspirational. Not to wear a sheitel? Not so inspirational. An important external hard drive of mine may have died. This is bad news for me. So posting may be a little sparse. Or maybe not. We'll see what happens. "My daughters and daughters-in-law, guard yourself lest you, God forbid, reveal a handsbreadth of your skin in revealing dresses, which are popular, God forbid. . . . and I also forbid you to wear a wig, with a total prohibition." The Chasam Sofer's ethical will, addressed to his family (it begins, "My sons, daughters, children-in-law, and grandchildren, listen [to my words] and live . . ."], was read at his funeral before a large public. Thus, although it is addressed to his family, it was clearly seen by those close to him (= whomever was responsible for the proceedings of the funeral) as something for the public to hear, if not heed. The contents were not only read publicly, but reported only a month later in the Israelitische Annalen #45, November 8, 1839, pg. 354. In this Testament he instructed his family not to join with Reformers and not to read books by Moses Mendelssohn. [Instead?] it is most important to study and teach your children Tanach with Rashi, and Torah with Ramban. Next he asks them to remain firm in their principles even in the face of hunger and poverty. The women [in the family] should read nothing but books printed in Judeo-German, and only works based on Aggadah. None may attend the theater. No one should grow proud or haughty. They should study Torah diligently, and teach it publicly. They should not change their name, language or clothing, that is, not to imitate the ways of Gentiles. Then he tells them not to be anxious because he has not left them wealth, for God will have mercy on them and provide for them. Next, not to use the Torah as a means of glorifying themselves, or a means for making money. They should not become a traveling Maggid for pay - they should stay in their place. Finally, do not say that times have changed. We have an old Father - God - who does not and will not change. Also at his funeral, another Testament addressed to the *community* of Pressburg, was read. This one contained one appendix addressed to the females of his family, and another to the males of his family and his students. This second part, asked his community to never appoint a rabbi who breeches tradition, and not to allow the rabbinical post to remain vacant more than two years. It also asks them to appoint a humble man, and to continue funding Torah studies in the same manner as they always have. The next section, with which I began this post, addressed to the women in his family, specifically asks that they dress modestly, specifically that they never let a hair on their head show, and that they must not wear a wig. Then his sons and students are addressed, and they are asked to be careful to keep his yeshiva running as it always has, and he expresses the preference that his son Avraham Shmuel Binyamin be officially appointed its rosh yeshiva - and this led to his appointment as rabbi of Pressburg at the funeral itself! 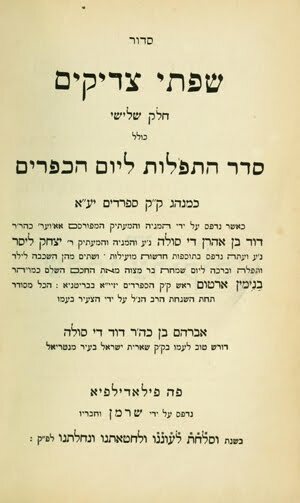 In 1860 the complete will was published by R. Akiva Yoseph Schlesinger, who was then in his early 20s, with a Yiddish translation in the beginning of his book Naar Ivri, and has been reprinted in whole and part many, many times since. 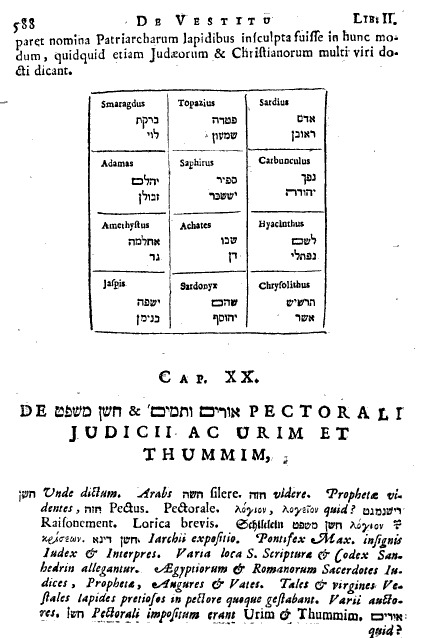 Note the "הָאארשַייטֶל." 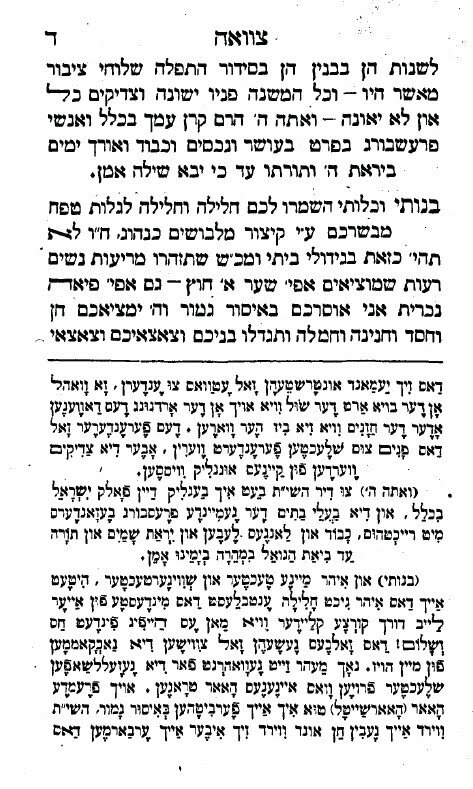 Several years later Schlesinger reprinted the will with a very lengthy commentary, transforming a text of a few paragraphs - it takes up 8 pages, including the Yiddish translation in Naar Ivri - into a book of about 150 pages. In the introduction, he writes that when he was a yeshiva student, a friend asked him why he refrains from using Mendelssohn's Chumash. Citing the will, the friend pointed out that it is only for the Chasam Sofer's family. Schlesinger replied that allthough he knows full well that the Chasam Sofer's Testament is addressed to his family, he nevertheless is glad to consider himself bound to follow its commands. Why? He reasons that surely the Chasam Sofer loved his family and was concerned for their souls, and this is what he advises them to do. Doesn't Schlesinger love himself? If so, wouldn't he be sensible to follow the prescriptions of the Chasam Sofer for those whom he loved? In any case, agree or disagree with this logic, it seems clear that the bulk (and frankly, the best part) of the will is addressed solely to his own family, with a small part addressed to his community. Nevertheless, his instructions to his family were also promulgated in a most public fashion. Through Artscroll, Rabbi Moshe Bamberger published a very interesting book called Great Jewish Letters: A Collection of Classic and Inspirational Writings of Torah Personalities. This book contains Bamberger's translations of all or part of many letters, drawn from Geonic to contemporary times. The section called Ethical Wills contains 9 specimens, the first one by the Ramban, and the next nine from the 18th, 19th and 20th centuries. On page 38-40 the Chasam Sofer's will appears, more specifically, only the first part. In a way that's understandable. Even though the second part is actually addressed partly to the public, the first part is where the meat is. The second part, even though it contains spiritual matters, is basically business. For the Chasam Sofer, the proper way of appointing a rabbi is business; the proper way of maintaining his yeshiva is business; the modest dress of the female Schreibers is business. So in that sense I can understand why it only translated the first part of the will. Nevertheless, one does notice that the second part forbids in the strongest possible terms the women from wearing sheitlach. So my conspiracy theory is this: Not to touch Mendelssohn's books? Inspirational. Not to wear a sheitel? Not so inspirational. The question was, nowadays, do women still need to wear a sheitel? Dr. Klein was in fact Theodore Klein (1845-1902) a Parisian physician, and son of Rabbi Solomon Klein (1814-1867) of Colmar. 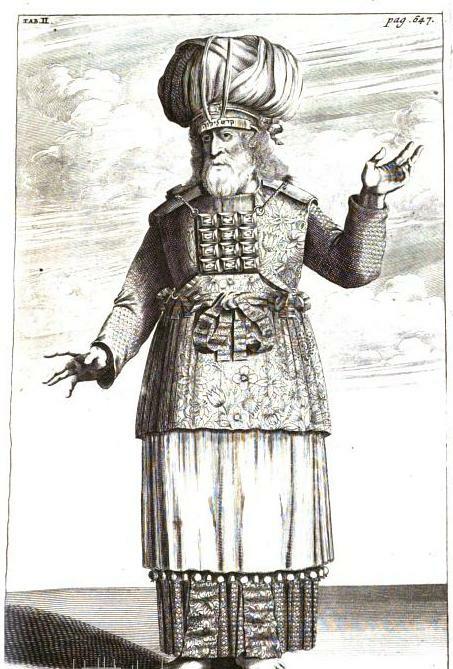 Klein was a member of the Jewish Consistory of Paris, and also the president of the Société de l'Etude Talmudique. 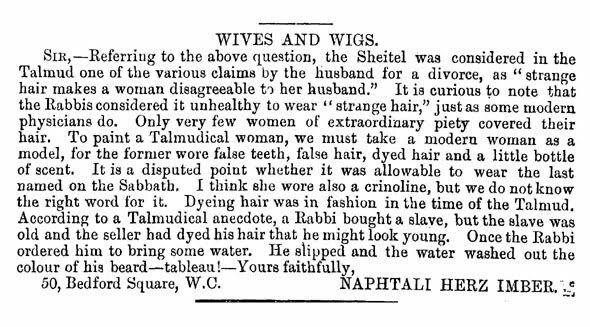 The Funny Little Kentish Maid replies in a fashion that was probably very in tune with the particulars of the religious situation of her time and place, and suggests that it is less important that Jewish women wear a sheitel and more important that they do not profane Shabbat. She claims that many women cook on Saturday in preparation for Sunday! Furthermore, she writes that no one should be surprised that the husbands of these women are also mechalelei shabbos, and that the women should shore up their Sabbath observance and positively influence their husbands. 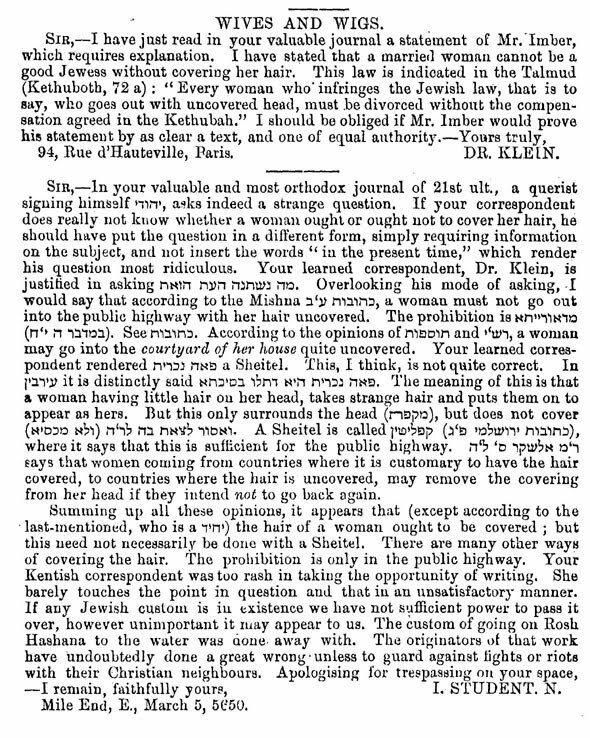 In the next issue (March 21, 1890) Dr. Klein pulls out an unambiguous Gemara which states that women must cover their hair, and asks if Imber could "prove his statement by as clear a text, and one of equal authority." Another respondent, signed I. Student, seems to raise the specter of whether or not יהודי, who had asked the question in the first place, was acting as an agent provocateur, since the question was about the obligation of women "at the present time." Klein was correct in asking what difference time makes. However, he disagrees with Klein's equation of the Talmudic פאה נכרית with the sheitel. He believes that the meaning of this term is something along the line of hair extensions, rather than a full wig. He then adds several sources regarding hair covering generally and sheitel wearing specifically, including one lenient opinion. But in sum, while women are required by halacha to cover their hair, it needn't be with a sheitel. 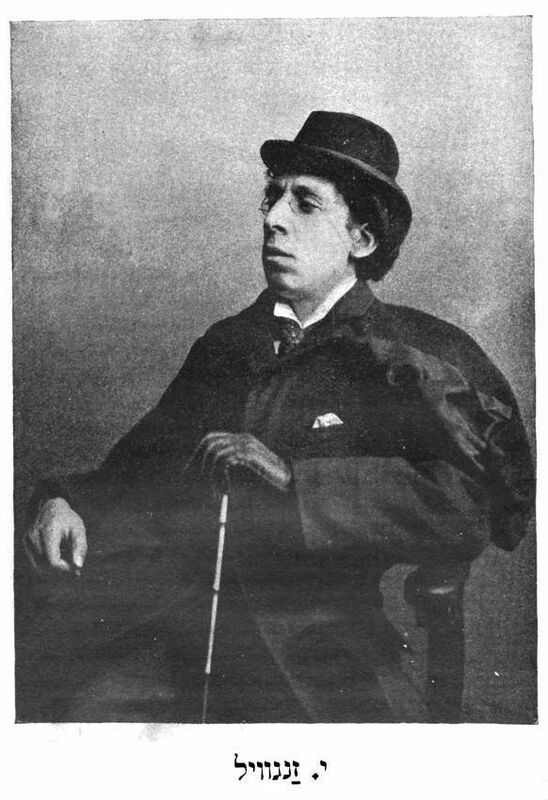 In the same issue (March 21, 1890) Israel Zangwill gives a witty summary of the situation. One almost imagines him eating popcorn as he reads the exchanges and thinks up puns. After the "Wives and Wigs" controversy ends, he suggests, perhaps there will be a discussion about "Husbands and Hair . . . Relatives and Razors . . . Parents and Pigtails." 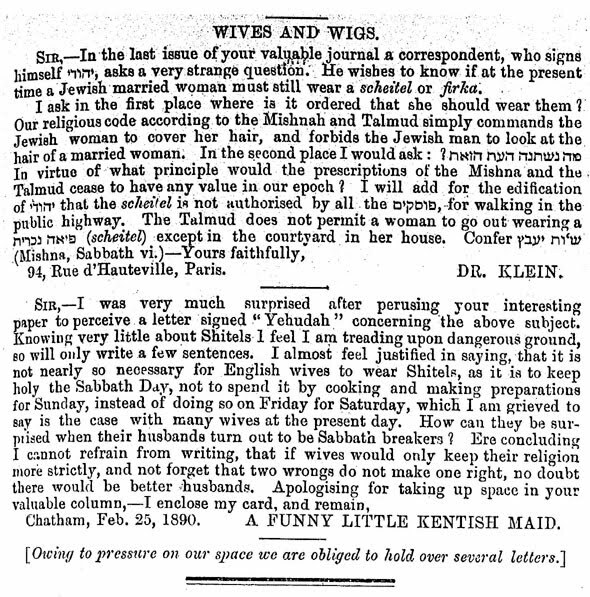 The next week (March 28, 1890) printed a reply to Klein by Imber. Imber now accuses Klein of mistranslating the Talmudic phrase דת משה ויהודית as "Mosaic and Jewish law," when it really means "the custom (not law) of Jewish women." Imber then mentions the bane/ inspiration of Bais Yaakov students everywhere, Kimchis. He sees her example as proof that covering the hair was considered an exceptional mark of piety only. 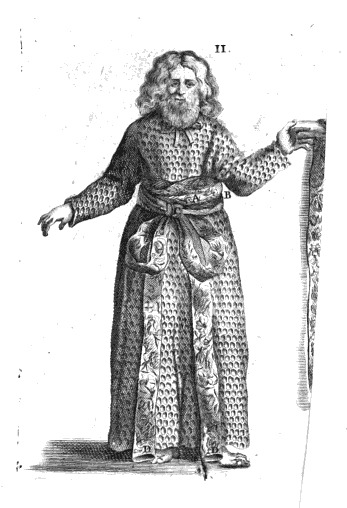 He then closes with a defense of his assertion that the Talmud was opposed to sheitels, and concludes that "the sages of the Talmud were more chivalrous, and had better taste than the Jews of the orthodox countries of Galicia and Russia, where the custom prevails of cutting off the bride's hair on her nuptial day, thereby compelling her to adopt a wig as a head covering." 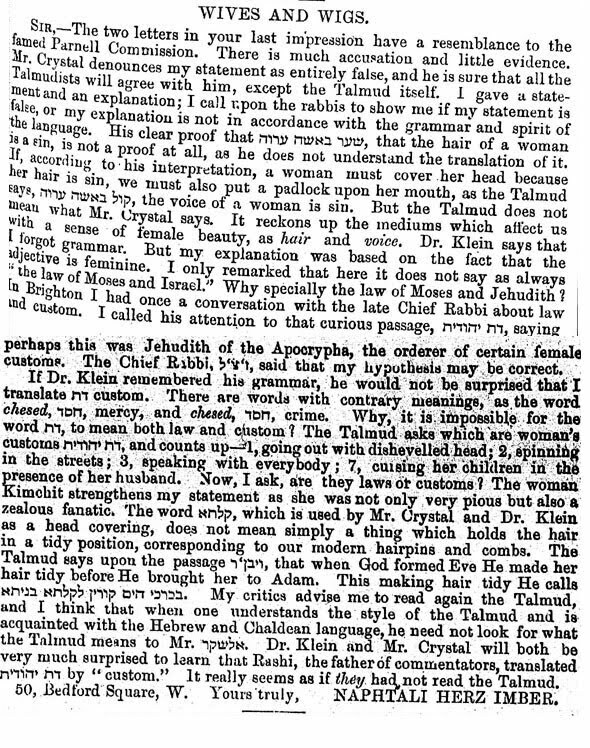 Dr. Klein and someone called Isaac Crystal respond in the April 4, 1890 issue. Klein writes that he had no intention of replying to Student's assertion that he mistranslates פאה נכרית, however as Imber is a Hebraist he wishes to reply to the poet's assertion that he mistranslated a Hebrew term. Klein simply says that he himself does not offer original interpretations since he is a physician and doesn't have too much time to devote to learning. Instead, he gives the interpretations received from the traditional teachers, and therefore Imber takes issue with their translation of peah nachris as meaning a wig. Furthermore, Imber asserts that grammatically das yehudis means "custom of Jewish women," since yehudis is a feminine term. Klein asserts that Imber is twice mistaken. Das only means law, never custom, and as the word das is itself feminine, why shouldn't yehudis be feminine as well? Next Klein tackles Kimchis, and calls Imber out on his distortion of that text. 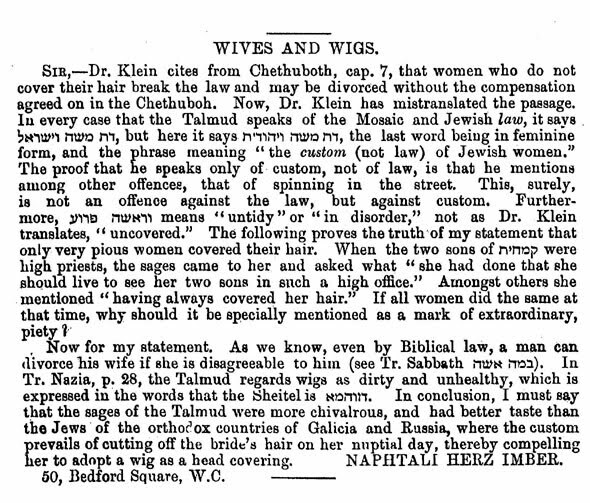 Finally, Klein agrees that wigs may well be "an object of disgust," but that's not germane to the requirement to cover the hair, which no halachic authority can dispense with. Isaac Crystal makes much the same points as Dr. Klein. Next (April 10, 1890) Imber replied to these two letters. He writes that the Talmud's declaration that a woman's hair is ervah (curiously translated by Imber as "sin") is no unambiguous requirement for all women to cover their hair, for the same term (ervah) is used for a woman's voice, and surely we need not "put a padlock on her mouth." Rather, these statements in the Talmud mean only that a woman's hair and voice are the mediums which affect men "with a sense of female beauty." Then he responds to Klein's assertion that Imber's own statement that the feminine form of yehudis means "[the custom] of women." 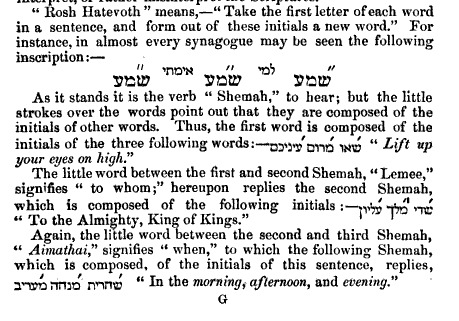 Imber explains that the reason he interprets it as he does is because the term used here - "das Moshe ve-yehudis" - is most unusual, where the normal formula is das Moshe ve-yisrael. Therefore it cannot mean "the law of Moses and Jews." As mentioned before, Imber understood this to mean "the law of Moses and the custom of Jewish women." He then remarks that once he mentioned to Chief Rabbi Nathan Marcus Adler the following interpretation: that yehudis actually refers to Judith of the Apocrypha! Thus, the statement might mean "the law of Moses and the custom of Judith," that is, a special pious custom instituted by this quasi-Biblical heroine. To this, what did Rabbi Adler say? He said that Imber's "hypothesis may be correct." Then Imber makes a strong point, which is that words often retain contrary meanings. So why should it not be possible for das to mean both law and custom, depending upon context? Then Imber points out four examples that the Talmud gives for das yehudis, and asks rhetorically, are they laws or customs? Then Imber asserts that Kimchis only strengthens his point, for she was not only pious, but actually a fanatic. Finally, he disputes the way Klein and Crystal translated a certain word to mean "head covering," while Imber holds that it means a thing like a hair pin or a comb, and suggests that it is Klein and Crystal who don't know how to read the Talmud correctly, and that Rashi supports him. April was only half over, so the next issue (April 18, 1890) included Klein and Crystal's reply. Klein begins his salvo with a surmise, that I tend to assume is correct, that Chief Rabbi Adler was basically politely nodding, rather than agreeing: "Mr. Imber shows us what we know already, that the late lamented Chief Rabbi was a very sensible man, who preferred to yield to Mr. Imber's opinion rather than discuss with him." Next Klein says that if he mistranslates the Talmud, he is in the glad company of Rashi, the Rambam, Shulchan Aruch, etc. as all Posekim agree that covering the hair is required by the Torah. Klein then admits that he kind of enjoys the opportunity of schooling a Hebrew poet in Hebrew grammar. He sensibly notes that if das yehudis means "a Jewish woman's custom," then doesn't melach sedomis mean "a Sodomite woman's salt?" Next, he noted four separate places in rabbinic literature where Kimchis is praised by the rabbis, so indicating that in their opinion she was no fanatic. Then Klein asserts that in language a word cannot have at the same time two different meanings. Thus, das Moshe ve-yehudi is not the same as das Moshe and das yehudis. How can das Moshe ve-yehudis mean "the law of Moses and the custom of yehudis"? Since we know that Moses only gave laws, then the entire statement can only mean law for both. 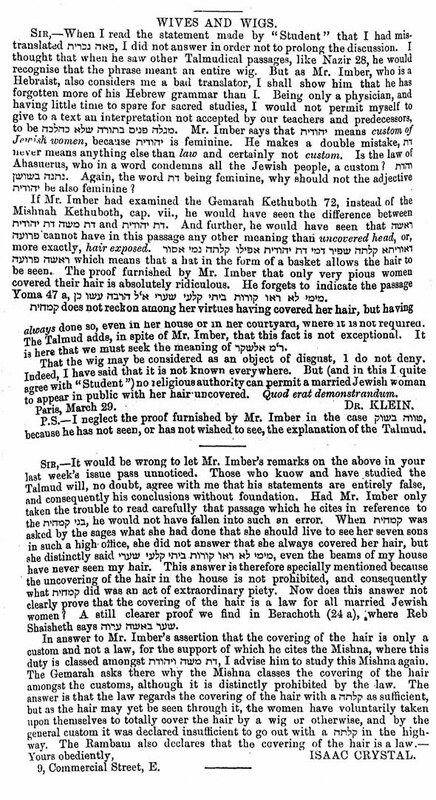 Then Klein attacks Imber's statement that Rashi supports him by stating that a certain element of the hair covering issue is a minhag (custom). Klein says that Rashi means to say that this law comes from a Minhag, because "the customs adopted by the Jews are laws." Therefore we are dealing here with a law derived from a custom, namely that it is forbidden to cover the hair with a קלתה, since that was forbidden by custom. Isaac Crystal replies with a "jargon proverb" (i.e., Yiddish). Crystal's reply isn't worth paraphrasing so much, but it is interesting that he says that he asked a "renowned Continental Rabbi" to give an opinion on the subject, and he is awaiting this rabbi's reply to make it known. He is certain that the reader's will accord it at least as much weight as Imber's. Unfortunately, he does not name the rabbi and by the time Crystal received his responsum (if indeed he received one) the paper had ended the correspondence. All threads must come to an end. In the April 25 issue Dr. Klein sent in some rather crucial corrections to printer errors in his previous letter. He also takes the opportunity to clarify that Imber falsified a Talmud quote - he makes a pretty good case, too. On May 2 Imber's reply appears, where he explains that the אהחע letters are "mutually exchangeable, as every schoolboy knows" (wanna bet, says I?). Therefore his misspelling is not a falsification at all. Naturally he is indignant. At this point the editor steps in and says that the back and forth ends here. One contemporary critic writes that Imber "had made a complete fool of himself." Just kidding. I came across a very interesting blog called Treasures of Ashkenaz. The blogger states that he is "trying to spread the word about some of the treasures of the Ashkenazic Jewish tradition, that are not as widely known" today. It seems that most of the posts are based on the writings and lectures of R. Binjamin Salomo Hamburger. Have a look. 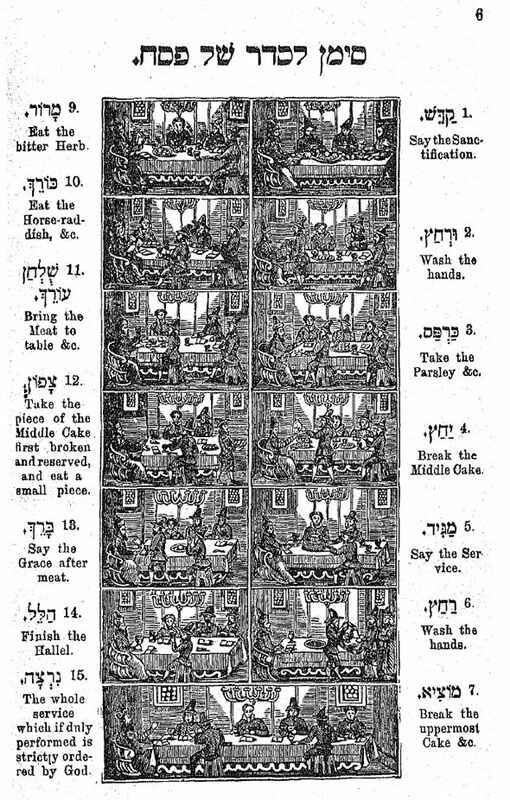 A savage, hilarious review of a Haggadah from 1890. 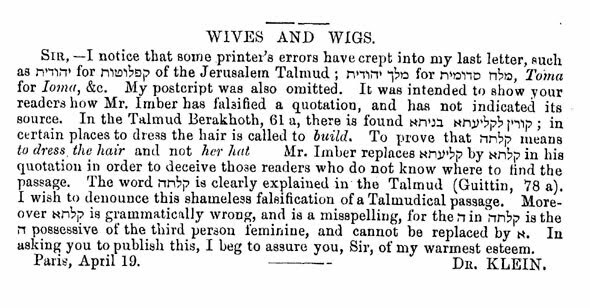 Here's a thoroughly amusing (and savage) review of a Hebrew-English Haggadah published in Vienna in 1886. The reviewer is Israel Zangwill in his appropriately named Morour and Charouseth column for the Jewish Standard. Zangwill writes that every year he seems to "get hold of an edition which is funnier than the preceding year's." The trouble with this one is that the English is simply awful and Germanic, abounding with spelling mistakes and bizarre comments. In addition to the ones cited by Zangwill, I came across its mention of "horseradisch" and the "sederdish," "Grace after meat," and the remark that "we are leaning back" when one drinks the cups of wine. Zangwill also takes issue with the illustrations, which he thinks are atrocious. Here is the page with the Four Sons, which Zangwill notes "grow small by degrees," for no apparent reason, so it is that the the fourth son who "hath no capacity to inquire" is "represented as a dwarf." 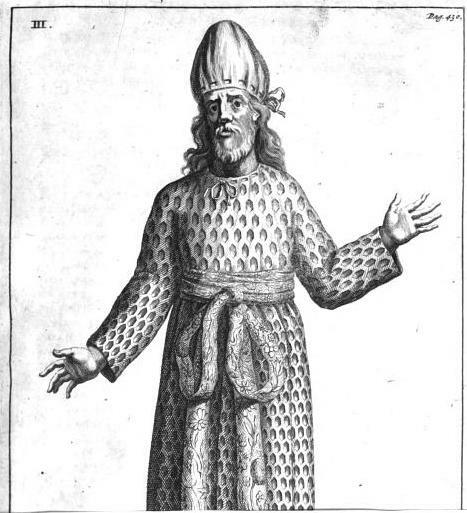 Zangwill claims that the body language of this son resembles that of a "vociferous Maggid." The edition I saw was the second "thoroughly revised" edition, where some of the things he pointed out were corrected (Vienna, 1896). In case anyone is wondering, his index includes everyone from the Keseph Mishnah to Julius Caesar. 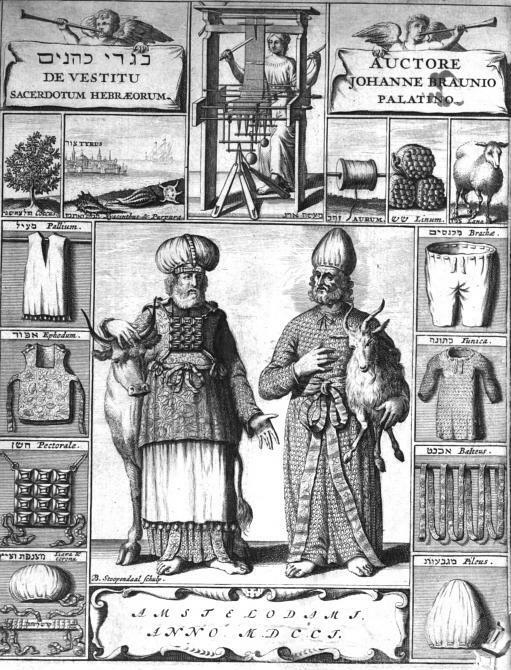 This is the cover of a Hungarian periodical from 1861, Leopold Kompert's short-lived Illustrirtes Israelitisches Jahrbuch. As you can see, it depicts a Chassidic, Orthodox and Reform (Neolog) Jew. 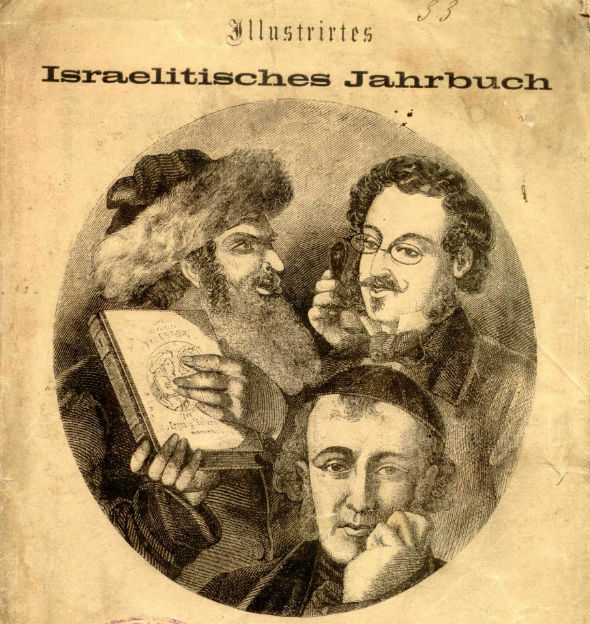 No, I do not know why the Chassid is holding the very Jahrbuch with all three of them on the cover. Presumably the cover keeps on going, but that's too sci-fi for me. To every man his own Maimonides, or, skepticism of that premise in the early 19th century. 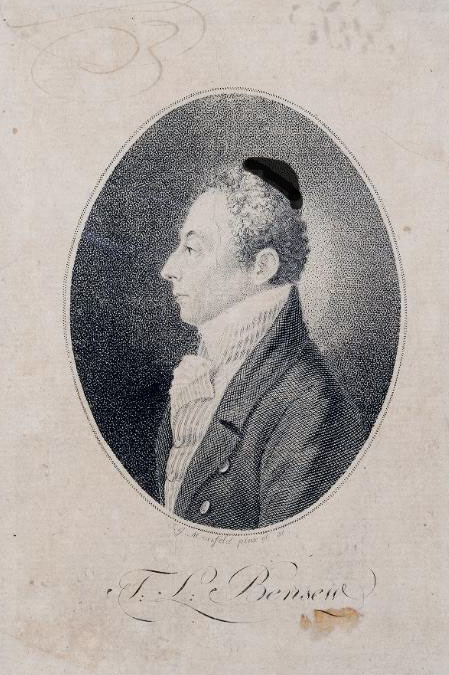 As you can see, he had been reading Salomon Maimon's Lebensgeschichte (Autobiography; Berlin 1792). 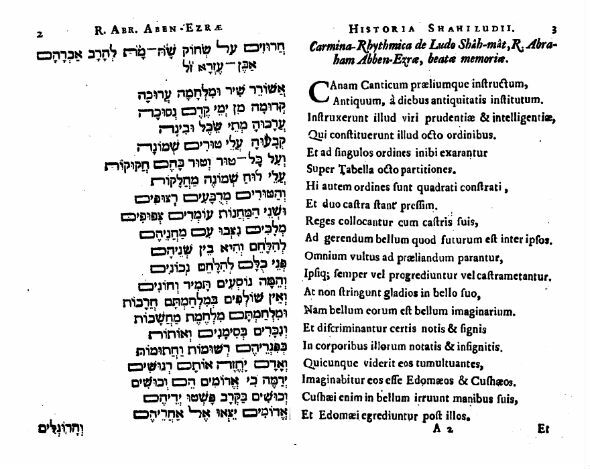 Maimon, who among other things wrote a commentary to the Rambam's Moreh Nevukhim called Giv'eat Ha-moreh, had assumed the surname Maimon as a tribute to Maimonides. As you probably surmised, there weren't too many Maimons in 18th century Lithuania (or Berlin). Amusingly, Mackintosh is not entirely convinced that Maimonides is a modern philosopher, although of course he has no idea if Maimon is portraying him accurately, not knowing the Guide for the Perplexed at all. Two days earlier Mackintosh had written that "the manners and conditions of the Polish Jews are quite new to me. I never before caught a glimpse of that modification of human nature." Overall, he decides that the book is "a most entertaining piece of self-biography." 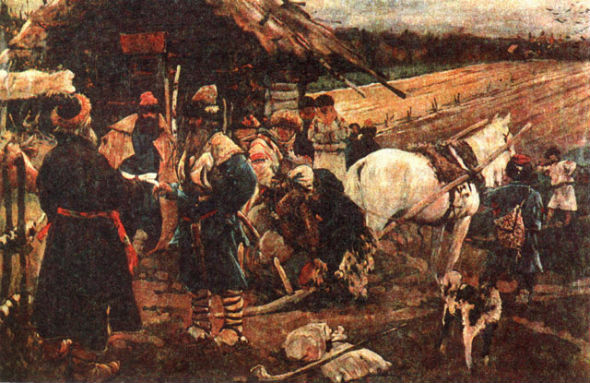 This is Sergey Ivanov's painting A Peasant Leaving His Landlord on Yuri's Day. I think we will agree that the costumes are quite interesting. 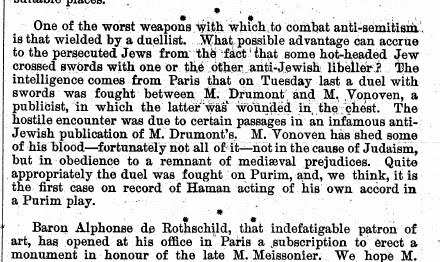 And according to the Jewish Encyclopedia he fought several duels with Jews. Have you ever seen one of these? A common synagogue plaque in the 1840s. This is a footnote, where he explains what roshei tevot, or abbreviations are. The context is that he had paid a visit to Rabbi David Berliner, who was one of the lay leaders of the Jerusalem Perushim of the time, and a son of Rabbi Solomon Hirschel of London. Ewald writes that Berliner tried to prove that Jesus could not be the Messiah using an interpretation of Scripture rooted in roshei tevot. So Ewald countered that you can prove anything with roshei tevot, for example, he could prove the Trinity from the first words of the Torah בראשית ברא, with בר"א standing for בן רוח אב, or Son, [Holy] Spirit and Father. David (Tevele) Berliner would be murdered by poison in November of 1851. His own grandson Jonah Goldzweig was implicated, tried by the Turkish authorities and acquitted for lack of evidence. As you can see, the writer mentions a synagogue established (in 1823) by his grandfather Nathan Henry (b. 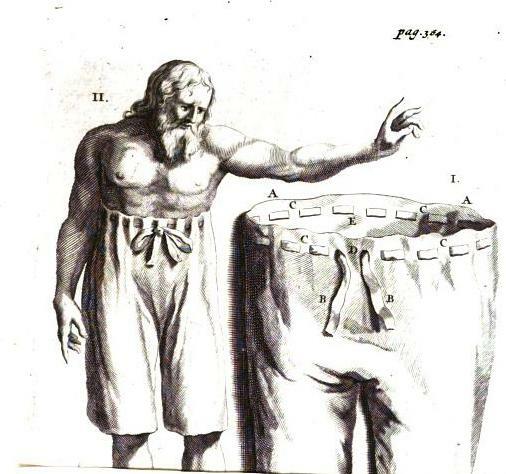 1764). It seems that even prior to the establishment of this synagogue, he presided over a minyan for Jewish debtor prisoners. I happen to think that it is pretty cool how a man writing in 1905 can recall his grandfather telling him all about events in 1780. Of course there are loads of people alive today who had grandparents who told them all about life in 1886, but still. "The gulf of time is bridged over," indeed. Whether or not Ibn Ezra wrote it, presumably the introduction, חרוזים על שחוק שח-מת, are from the manuscript. It is interesting that some have changed this quasi-title in reprintings. For example, one has חרוזים על שחוק שקאקי and another is חרוזים על שחוק הסקאק. 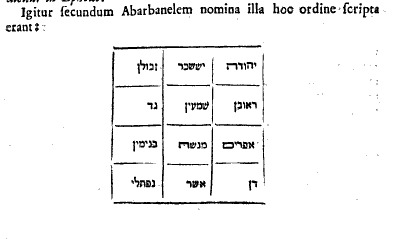 Incidentally, the famous interpretation of Rashi on Kesuvos 61b that נדרשיר is אישקקי"ש, or chess, may or may not have any basis (it seems more probable that it was the kind of backgammon precursor nard), but I think the question of the antiquity of the game itself is less important in light of the view that sees the Talmud as developing long after Ravina and Rav Ashi. See the very interesting letter about chess in Jewish sources in Reggio's Iggerot Yashar v.2 (Vienna 1834), where he refers to other sources, including the איסקונדרי of Kidushin 21b, which Kohut would later interpret fancifully as chess, which he assumes was named after Aleksander the Great. Reggio, incidentally, correctly realizes that the name of the game is Persian, not Arabic, writes מט and not מת. If anyone thinks Artscroll's translation of נדרשיר as "chess" is silly, I would just point out that Soncino translated it as "checkers." But see the notes. Trying to make a ba'al teshuva out of a Christian missionary in Jerusalem, 1823, using Azariah de Rossi's Me'or Enayim. - considered it a fitting book to screw a man's head on straight, so to speak, regarding a way to approach Chazal. 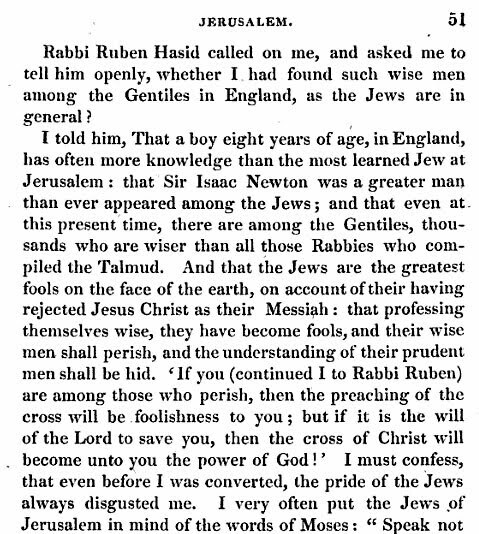 In the next passage, Rabbi Ruben Hasid - he means that he is Chassidic - asked him whether there are any gentiles in England as wise as Jews are, in general. So Wolff replied that an 8-year old boy in England knows more than the most learned Jew of Jerusalem, and that the Jews never produced so great a man as Isaac Newton. 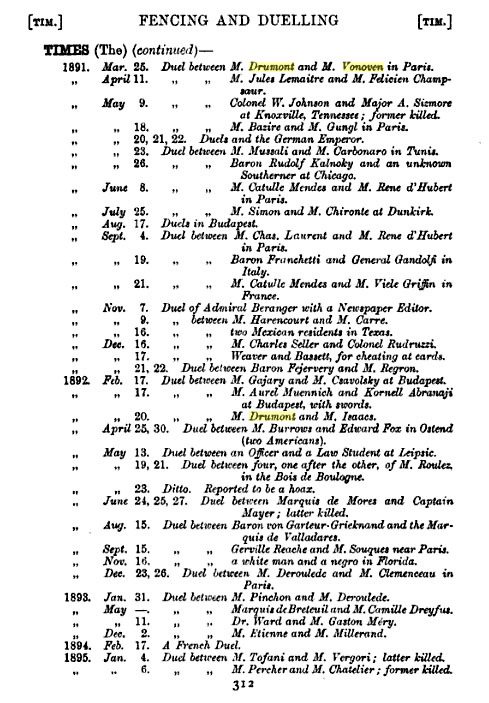 In another passage of Wolff's diaries he mentions that Rabbi Mendel - he means Rabbi Menachem Mendel of Shklov - told him that he holds out hope that he might return to Judaism, and the reasons are that he doesn't play cards or go to the theater, and thirdly, he is a friend of orphans and widows, and the Jews generally. Wolff answered that it his faith in Jesus which causes him to be this way and then "we argued again for some hours." In another passage he recounts how he asked if he would be permitted to join the tikkun leil shavuot - the overnight recitation of passages from the Torah and Talmud - in the Bet Hamidrash and he was told that he could, provided that he would study Talmud too. Since he could only agree to recite from the Torah, he was not permitted to join the group. There are other passages concerning the fact that the sign of a cross was used to indicate keri and kesiv in Bibles which he was distributing - a poor choice, Rabbi Shapira noted, even if it was intended "innocently," as Wolff puts it. However, Rabbi Shapira pointed out that these Bibles were full of mistakes, most notably the confusion of the letters ב and כ, as well as the following error: in Isaiah 10:6 the word לםרבה was written למרבה. Unrelated, but here's a good story. As a good Protestant, Wolff records that there was a certain Polish Jew in Jerusalem who was a very good watchmaker. A Catholic priest ("Pater V.") often had him repair his watch, which the Jew would fix for nothing, and the two were on friendly terms. One time he brought him a watch requiring a complicated repair belonging to another friar, and the Jew refused to repair it, basically saying that he'll make free repairs for him, but not for every priest. Furthermore, the repair is too complicated. Displeased, Pater V. stopped going to him. As it happens, this priest was, according to Wolff, the only man in Jerusalem with even some semblance of medical knowledge. One day the watchmaker fell seriously ill with fever, and Pater V. was summoned by Wolff himself, who asked him to come treat the sick man, both as a Christian and a priest of Jesus "who knows that by the Gospel that Christ commands us to pardon our debtors." The priest refused, saying that the man offended him. Wolff replied that "Christ pardons our offences." The priest responded that he knew his duty, which evidently was to not come. The man died that night. As Wolff puts it, "Behold the conduct of a Catholic priest, who lives in the convent which is situated upon Mount Cavalry. And that very priest often spends several nights in the Church of the holy sepulchre, kneeling near the tomb of Christ, who prayed on the cross for his murderers, saying, "Father forgive them, for they know not what they do." Wolff finishes this letter, for it was a letter, stating that he hopes it would be printed in the newspapers of Europe "in order that every one might abhor such a church, which nourishes such priests, even in the holy city of Jerusalem." Wolff gives the watchmaker's name as Eliyahu ben Asher. A children's primer from 1827, for all you alphabet fans out there. Here's an interesting book. 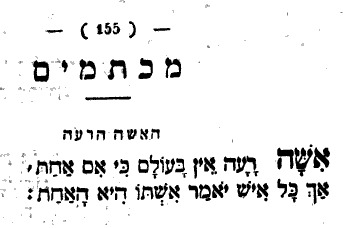 It's the 7th edition of a children's primer called בית הספר (Vienna 1827) by Yehuda Leib Ben Ze'ev. 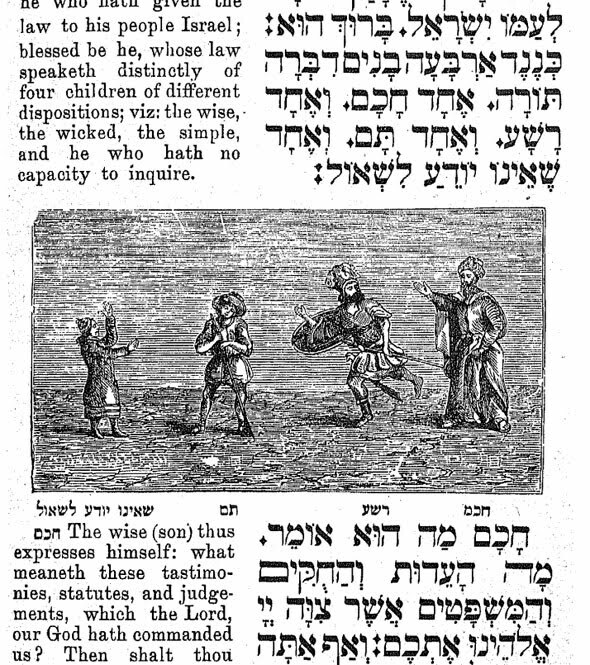 The purpose of this book was to teach reading and writing, both Hebrew and Judeo-German. So, it begins with the Aleph Bet. I thought a couple of pages are interesting. Here is the chart of Rashi script, which he calls ראבינישע שריפֿט (rabbinische schrift), or Rabbinic script. Next is what we today call Wayberteutsch, or Yiddish script, which he calls יידיש~דייטשע דרוק~שריפֿט (yiddisch-deutsche druck-schrift), or Judeo-German printing script. Beneath it is a sample of the semicursive, or handwriting script which was common in the time (and very similar to the one which is common today). He calls it יידישע שרייבשריפֿט (yiddische schreibschrift), or Yiddish handwriting. In case anyone was wondering, the book includes rules for writing Judeo-German, which was just German but in the Hebrew alphabet - still common in those times. It also includes simplified history essays and moral exhortations for children, in easy Hebrew, with the harder words translated into Judeo-German in footnotes. The second part, which is literary, includes poems and beautiful excerpts from the Talmud called דברי חכמים פתגמי התלמודיים. Before anyone else points this out, this section last for three pages. Immediately following is a section called חכמי יון which is thirty pages long. Note: Ben Ze'ev died in 1811. This is the 7th edition, and I have no idea if his original was exactly like this. 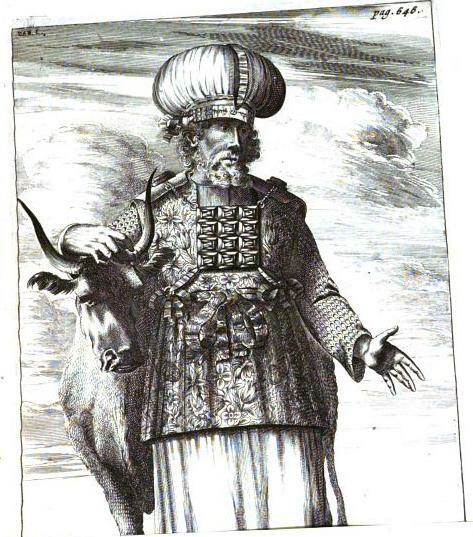 See this post for some traditional ideas about when Ben Ze'ev wrote and where he died.